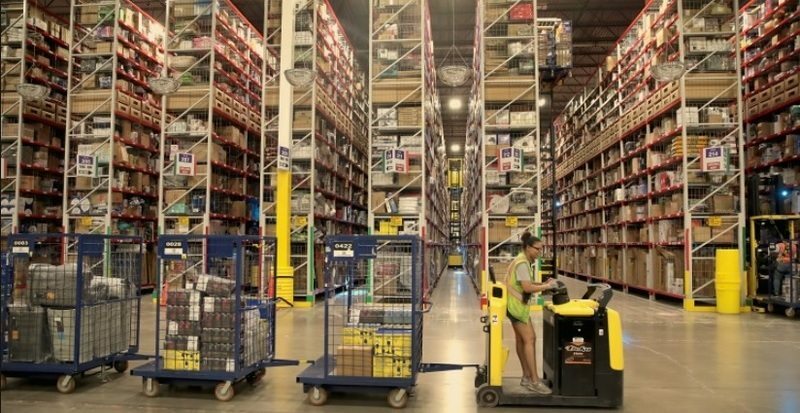 In the past years, digitization changed the nature of retail businesses for good and there’s no way back: soon enough eCommerce will fully dominate the market. Nowadays, tech-savvy online buyers know how to search online for all the services and goods they need in order to find the best offer. According to this scenario, manufacturers and distributors need to revise their traditional strategies and adopt more flexible and robust solutions to meet the online customer’s specific demands. Fortunately, these challenges come with a series of benefits, assuming you know how to make the best decisions for your business. 4.1. 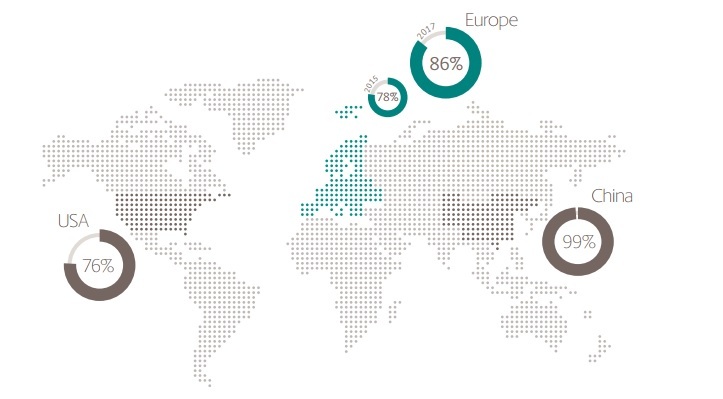 Why Manufacturers and Distributors Resist Adopting the New Commerce Trends? Today, with the constant growth of marketplaces, like Amazon, Alibaba and other online commerce solutions for all types of markets, the online customer behavior has changed dramatically and the traditional retail chain is now facing disruption. Manufacturers are now searching for modern eCommerce solutions to improve their management and adapt each part of their workflow to online technologies, from the manufacture stages all the way down to the successful end product delivery. In addition to the customers’ behavior changes, the industrial buyers are constantly alternating their suppliers in search for the best offer in terms of quality and price. Under these circumstances, there’s only one aspect that can make a crucial difference from one business to another: adopting new ways to improve your presale and postsale customer experience. These are the essential aspects that describe the eCommerce businesses that are customer-oriented, and at the same time, these are the facets that give rise to unprecedented challenges for commerce companies, manufacturers and distributors altogether. In the light of these changes, eCommerce experts advice toward adding eCommerce functions to manufacturers and distributors websites and invest in the newest digital strategies capable of driving your business success. Ready to adopt eCommerce? Ask for a professional advice! 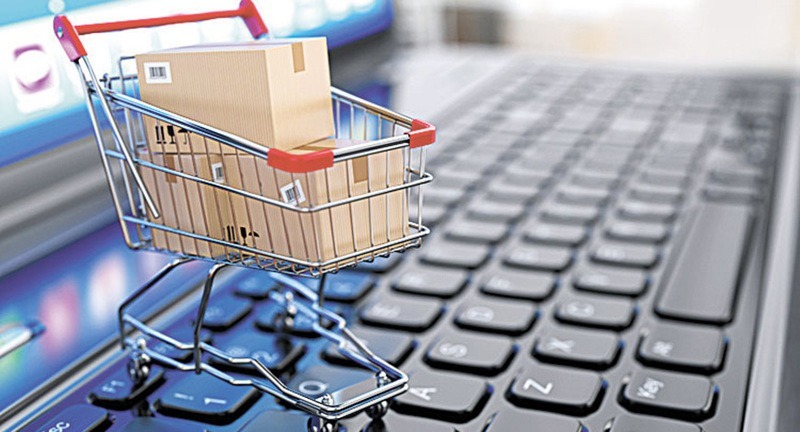 Considering that by 2020 eCommerce will dominate the entire retail market, with more than half of the distributors and manufacturers managing their orders online, the success of your business depends now on developing a strong eCommerce website, for manufacturers and distributors included, to keep your business running. This translates into shifting from traditional manufacturing and supply services to the more automated, centralized and interconnected omnichannel demands that portray today’s retail industry. Retailers are now searching for new ways to stay ahead of their competitors by integrating new functionalities into their online businesses, investing in software and services they never heard about before. And these tendencies will keep on evolving in the years to come. All these advancements are creating a customer-oriented ecosystem in which the traditional clear distinctions between manufacturing services, distribution services, and business partners fade away in the customer’s eye. Ready to build your eCommerce website? Hire a specialized Magento developer! Online buyers are now accustomed with having access to detailed data on every step of their purchase, from product availability to pricing, discounts, and offers, purchasing terms and return policies, locating their delivery on the map almost in real time. Any business that can’t raise the quality of their services to meet these expectations can risk a great loss in sales performance. 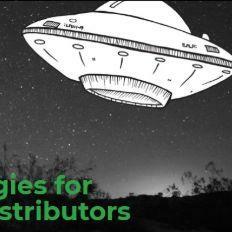 As a result, traditional distributors are desperately trying to adapt their services to the customers’ requirements and offer the best pre-sale and post-sale services in their niche market. Despite all the available eCommerce platforms for small or big business, distributors are still failing to embrace the new commerce trends and so they are missing the opportunities eCommerce technologies present to every business launched online. The idea is not just to install eCommerce software and launch a website, but to apply the new commercial strategies that can help your business thrive. Another important aspect of your online presence is doing effective SEO for your eCommerce. Online users are getting smarter and smarter so traditional marketing campaigns are not enough to attract new customers and increase your sales. Plus, statistics show that organic search represents more than 50% of the total potential online traffic and 40% of an eCommerce business revenue each year. Learn why it is necessary to optimize your eCommerce website and what are the best practices you can use to make your website search friendly. Add a blog section to your website where you can publish articles on topics that are relevant to your target audience. When potential customers are searching for specific information that is related to your niche business, search engines will be more likely to display in the search results pages helpful articles related to the users’ query than eCommerce product or services pages. You can use this strategy to build your online presence and promote the services or products your business provides. To do it efficiently, we recommend hiring a copywriting agency. When it comes to your long-term strategic business objectives, there are a couple of topics you can debate with your team and for your future business prospects, to constantly upgrade your marketing plan and stay competitive in the online market. List your main objectives: attracting new customers, increasing the functionality of your website to offer a better shopping experience for your customers, promoting specific product lines or services, and so on. What your long-term business objectives? Analyze your workflow and see how you can integrate the eCommerce management tasks in your framework in such a way as to make the whole process more efficient. Which products are drop-shipped by the manufacturer? 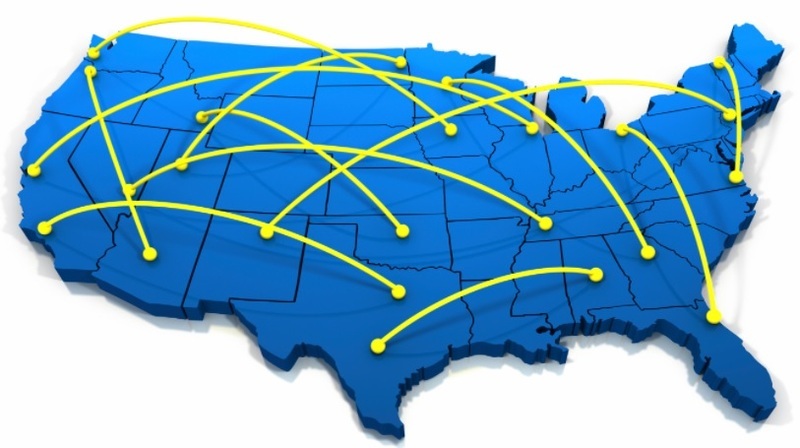 Can your customers purchase products from separate locations? How are the warehouses communicating the shipping information? Search for the eCommerce platform that can fulfill all your business requirements and consider hiring a specialized eCommerce management company to handle the tasks that you’re not prepared to handle on your own, such as website management, product management, pricing strategies, reporting analysis, marketplace management, customer service management, email and social media marketing. Ready to adopt eCommerce? Ask for professional assistance! What they aren’t aware of is that neglecting the eCommerce trends and refusing to implement the newest technologies, they on the verge of losing up to 4% of their revenue per year, every year. Additionally, here are the best eCommerce platforms that allow manufacturers and distributors to successfully launch their business online and manage every stage of their eCommerce business while increasing their sales. Magento is one of the most powerful eCommerce software for online shops, used by 18% of all eCommerce stores available today in the online commerce industry. Read here the full list of Magento’s features. WooCommerce is an open-source software designed for small and medium-sized businesses that you can add to your current WordPress website, or build a new eCommerce website. WooCommerce is one of the most popular platforms for fresh retailers and since 2011 when it was first launched, it has a spectacular market share growth. Find out more about WooCommerce’s features from our previous blog post, dedicated to eCommerce solutions for small to medium-sized businesses. Start your business with Woocommerce! Contact us for a quick launch! Shopify is one of the most popular eCommerce solutions developed on a SaaS model, one that can help you build your eCommerce website without much technical assistance. Although Shopify is easier to install, it’s customizability level is limited, compared to the above mentioned open-source eCommerce software options. However, Shopify offers just the right set of features a new online business requires, from small to large scale manufacturers and distributors, to constantly improve their shops and attract more customers. As developing an eCommerce website is becoming a priority for manufacturers and distributors, building a user-friendly website with a strong infrastructure to offer the best services for your customers and increase their satisfaction level is mandatory. As it is the case with every online business, the base structure of every successful eCommerce is understanding your target audience’s needs, their online behavior and constantly searching new ways to improve the quality of your products and services to stay ahead of your online competitors. In the end, eCommerce industry presents various opportunities for each type of business to expand and attract more and more customers, so why not try to make the best out of it?